Community Life on February 9 was all about global connections. Students in the jazz ensemble, and upper and middle school dancers performed to welcome our visiting Taiwanese students. In return, the exchange students gave a gracious thank you with several performances, including a popular Taiwanese song, their school anthem and an impressive Chinese yo-yo demonstration, which the crowd went wild for. The Taiwanese students ended the assembly by leading the community in singing the Star Spangled Banner. Students from France are also visiting and attending classes through the week. 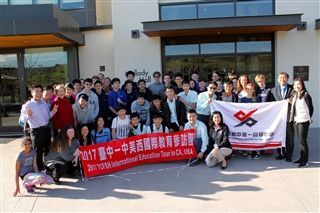 Thank you to all the Pacific Ridge families who have made both the Taiwanese and French students feel welcome!